I rarely get political on this website, but the current situation calls for it. Over the past couple days, I’ve been privy to footage of and invitations to an array of anti-Trump protests attacking the man on an array of subjects – from his derogatory comments towards women to his stance on Planned Parenthood, from his ill-fated claims about a rigged election to the supposed havoc he will wreak upon millions of undocumented immigrants. Activism is great. It was a leading force during the Vietnam War of the 60s and 70s, a conflict in which America’s participation was fueled by an anti-Communist agenda that frankly ended up doing more harm than good. Throughout the history of the United States and other organized nations alike, motivated protesters have been able to bring about change that may not have otherwise occurred were it not for their commitment to a cause. In fact, just a few days ago, Miami journalist Janette Vazquez talked to some of the participants of women’s marches fueled by the purportedly mysoginistic Trump. Source: WJLA / Google Images. That’s fine and dandy. But not all is well in the present climate of Trump bashing. That, my friends, is a proclamation tantamount to an outright rejection of the democratic process. Frankly, I’m disgusted. I’m also concerned that the fire in these protesters’ souls is misdirected. Have these protests helped us move forward as a people? Have they allowed us to inch closer to – quite frankly – Trump’s own slogan of making America great again? Have they united us the way three of America’s greatest leaders- George Washington, FDR and Abraham Lincoln – would have wanted them to? No, they haven’t. Consider Ronald Reagan’s landslide victory when he ran for re-election in 1984 against Democrat Walter Mondale – a whopping 525 electoral votes versus a paltry 13. Now that’s a united nation. A nation committed to supporting a President, not just a person. Though the late Reagan was a well-respected individual, many people, both in retrospect and in his time, criticized him on various grounds. Reagan himself admitted to serious blunders during his administration, particularly regarding murky dealings with armed forces in Nicaragua. Someone even tried to assassinate the man! 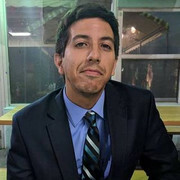 But the point is that by throwing their support behind their President and effectively foregoing the importance of party lines and personality wars, the people prioritized the need to rally together in order to get things done. Many Obama critics say the first black president rode in to the White House on a campaign of widespread change in all corners of society that he failed to deliver on. Do we want Trump to suffer the same fate as well? To ride in to the White House on a disgusting campaign full of insults and bold, illegitimate claims and come out the other side crippled by a public who failed to unite behind him? No, of course not. The man is our President. In a deeply divided election completely unlike Reagan’s re-election in 1984, he ultimately won. But instead of continuing to dig the knife deeper in the cut between the two halves, let’s forego the politics and the emotions and re-purpose that energy towards making America great again. I urge protesters to cease lambasting the democratic process by yelling “Not my President!” as they simultaneously exercise their democratic right to parade down the streets, stopping traffic and the natural flow of a Downtown district. Wouldn’t it be nice if our President had had a more sensible head on his shoulders during his campaign? If perhaps he’d been more eloquent and less confrontational? Sure, but Trump was a shrewd businessman first who made much of his money by being a shark and treating people less than honorably – as businessmen are known to do. So quit dreaming and start accepting. This man is no longer Donald Trump. He is the 45th President of the United States, and anyone who has filled that office for the past 241 years has been placed there as a result of the democratic process that has made this county a superpower. Regardless of who he is, he deserves the support of a united people perpetually seeking to make their country better. It’s not the Trump, nor the Obama, nor the Clinton way. The U.S. government, Amazon, and even kids around your neighborhood are all using or thinking about using drones for military, commercial or recreational purposes. In August of this year, the FAA issued a 624-page publication detailing Part 107, the agency’s answer to the sprawling and until then unregulated popularity of drones across the United States. The legislation allows individuals to obtain drone aviation certifications that would allow them to fly for commercial purposes, opening up the door to substantial financial opportunities that were previously inaccessible. Now, a South Florida-based company called Soaring Sky, which has been flying drones since 2014, wants to jump on the education bandwagon and help middle and high school students get the skills they need to take advantage of this rapidly growing industry. 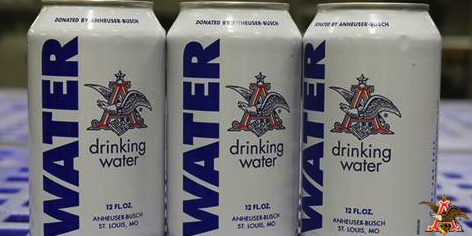 Beer maker Anheuser-Busch – the producer of Budweiser, Beck’s and other beers – will be sending 2,156 cases carrying 51,744 cans of drinking water to firefighters battling flames in the nation’s west. The company stated Monday its plans to have a truck loaded with water arrive in Wenatchee, Washington. From there, Columbia Distributing (one of he company’s distributors) will work with the American Red Cross and Chelan County Public Works to distribute the water in cans. The statement adds that the company has donated more than 73 million cans of drinking water in the midst of natural and other disasters. Providing this kind of aid has been a company tradition since 1906, when founder Adolphus Busch made a donation to the Red Cross for victims of the San Francisco earthquake. The news follows the declaration of current wildfires in Washington being the largest in the state’s history. The Okanogan Complex of wildfires is currently covering at least 400 square miles, with 1,250 local, federal and even international firefighters combating the flames and evacuating residents as needed. Bezos distributed a memo to his 180,000 plus employees where he criticized the portrait of a “soulless, dystopian workplace” painted by the article and insisted that he does not recognize that Amazon. He also encouraged employees to read the Times article carefully and to report any such experiences to Bezos directly.